I consider Pound’s much-maligned noh translations to be modernist texts produced by a disconnected collaboration involving western, Japanese, ancient, and modernist contributors (and the argument would hold for the Japanese Ulysses and Waley’s Genji). The modernist noh plays influenced western and Japanese performance, poetry, and translation theories, as evident in the work of famous Japanese noh scholar and theorist, Nogami Toyoichirō (1883–1950). Nogami studied English translations of noh, but unlike his western counterparts, he was not interested in detailing Pound’s errors. 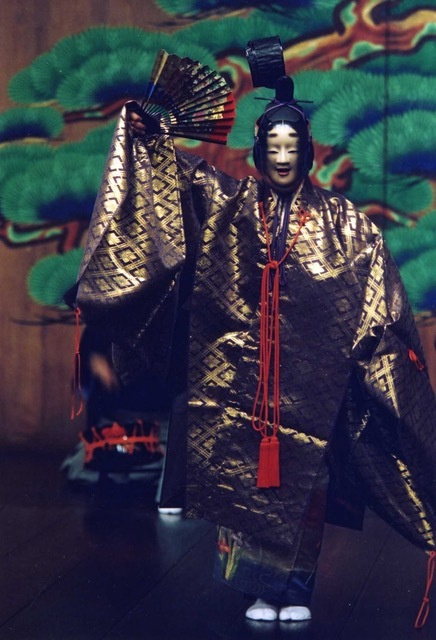 Instead, he embraced what he called Pound’s “wonder,” perhaps a mix of incomprehension, orientalism, and desire for the exotic, as an indication of the affective power of noh in performance. Nogami suggested that native speakers who cannot easily understand the ancient Japanese noh chant— and experts who attempt to do so—should watch noh with the “wonder” of the foreigner in the audience. In translation theories developed throughout the 1930s, Nogami suggested that the exoticism underpinning all translation helps us understand the pleasure and impact of cross-cultural exchange but also the translation of ancient texts across time/space and onto modern stages. Fig. 1. Furukawa Mitsuru playing the titular role of the famous ancient warrior in the noh play Atsumori, in production staged in 2008. From the author’s personal collection. Haiku usually contain seventeen sounds, not sixteen syllables, yet Mary Fenollosa believed Pound was the right literary executor for her late husband, Ernest Fenollosa. Pound began editing Fenollosa’s draft translations of noh plays, publishing them in magazines in 1914, then collecting them in several widely read and influential volumes, including Classic Noh Theatre of Japan. Pound credited Fenollosa with the “vision and plan” of the book, describing his own role as “that of translator who has found all the heavy work done for him and who has had but the pleasure of arranging beauty into the words” (Classic Noh, 1). The draft translations were primarily produced by Hirata Kiichi (1873–1943), who accompanied Fenollosa to noh lessons with the great actor Umewaka Minoru. Mary claimed she did not “think much of his literary style,” and Hirata appears just twice without explanation in the publication of what might be called the Fenollosa-Hirata-Pound translations. Even that hyphenated designation fails to accommodate the complicated collaboration; Pound received Fenollosa’s manuscripts when he was serving as a secretary for W. B. Yeats at Stone Cottage, another fertile site of modernist collaboration. Yeats commented on drafts of the noh translations and wrote an important introduction to the first collection which laid out a noh-influenced dramaturgy that reignited his interest in theater. 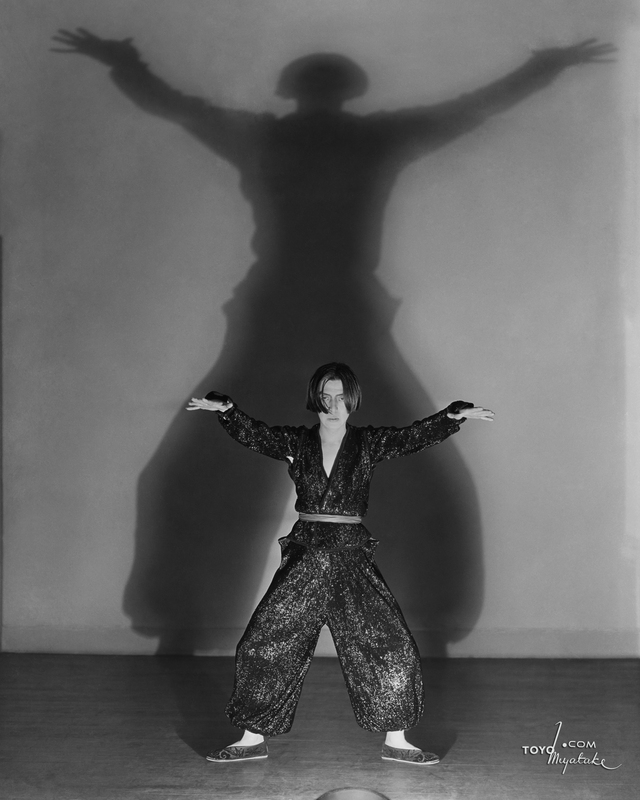 Pound also recruited the help of Ito Michio, a struggling Tokyo-born dancer, although Ito was less interested in translation than in collaborating with Yeats and Pound on their first noh-inspired performance experiment, At the Hawk’s Well (1916). Fig. 2. Michio Ito as “The Hawk” in Yeats’ play, “At the Hawk's Well,” 1916. Showing the sleeves of the costume. © George Eastman House, International Museum of Photography and Film. Who precisely authored these widely read noh translations? Given that citing Pound-Fenollosa-Hirata-Yeats-Ito is awkward, we could designate the collaboration as PFHYI. Of course, that acronym still ignores the original Japanese playwrights, largely troupes of actors performing in the fourteenth and fifteenth-centuries with little interest in textual records of their work, much less publication. The five current noh schools perform slightly different versions of the plays, and the texts are subordinate to direct transmission of the repertory from teacher to student. While noh translations thus cannot be evaluated by fidelity to a single author or source text, recent theories of translation, partially influenced by Pound, have productively destabilized the concepts of author, translator, and source text for any translation. Yet when critics evaluate the PFHYI translations as error-filled appropriations or as original contributions to English poetry but not translation, they typically give authorship to Pound as the unique hack/genius. Pound certainly commanded “visibility” in the text, to borrow Lawrence Venuti’s influential terminology. Venuti considers Pound a “foreignizing” translator who refused the “invisibility” typically simulated by a practice of “fluent translating” that “at once enacts and masks an insidious domestication of foreign texts.” Venuti claims that “domesticating” translations produce “an ethnocentric reduction of the foreign text to target-language cultural values,” whereas “foreignizing” strategies emphasize “the linguistic and cultural difference of the foreign text” and thereby “restrain the ethnocentric violence of translation” (Invisibility, 19–20). … the sound of the loom. A thin sound like the Autumn. It was what you would hear any night. “Kiri, hatari, cho,” produces an onomatopoetic mimicry of the sounds of weaving and night insects and unites these two aural images as they are “tangled” together in the first comment of the ghost of the suitor to his aloof beloved: “we are entangled. Whose fault was it, dear? tangled up as the grass patterns are tangled in this coarse cloth, or as the little Mushi that lives on and chirrups in dried seaweed” (Classic Noh, 76–77). The cricket becomes a weaver, “sew[ing] on at his old rags,” but in Japanese, a katydid is called a “weaving insect” or “hataori”—the source for the PFHYI “Kiri, hatari, cho, cho.” It’s a translation howler from the perspective of accuracy, yet the weaving insect remains inscribed in “Kiri, hatari, cho,” which also evokes the sounds of noh chant (utai) with their sequence of vowel-ended syllables. The reader cannot make grammatical sense of this “foreignizing” passage, which also produces an imagist aesthetics and some of the most acclaimed poetry in the book. Fig. 3. Sound File: David Crandall chanting the noh play Hagoromo, translated in PFHYI as The Feather Mantle. Photo: The author’s teacher, Furukawa Mitsuru-sensei, in the noh play Nishikigi. From the author’s personal collection. David Crandall chanting the noh play Hagoromo, translated in PFHYI as The Feather Mantle. The opening lines of the PFHYI Nishikigi feature an Irish English dialect that points to additional limitations of the foreignizing/domesticating binary, which presumes a standard version of any language. The Irish English in Nishikigi departed from the Fenollosa-Hirata draft translations but provides evidence of Pound’s collaboration with Yeats: “Times out of mind am I here setting up this bright branch, this silky wood with the charms painted in it as fine as the web you’d get in the grass-cloth of Shinobu, that they’d be still selling you in this mountain” (Classic Noh, 76). The Irish English habitual form, as in “am I here” and “they’d be still,” marks a distance between the source text and the translation that standard English would elide. Readers might wonder why the Japanese sounds like Irish then realize that Japanese speakers do not use any English dialect. Irish grammar influenced these phrases, as Irish speakers borrowed English forms, particularly the verb be, and redeployed them to match the habitual structures in their native language. Irish English “foreignizes” the translation of Nishikigi with borrowings from a language that was literally domesticated by British colonialism and records that history in its habitual tense. Nogami Toyoichirō recognized that the individualism in Western liberal subjectivity could be a barrier to understanding noh. His analysis of English noh translations revealed that translators attempted to identify subjects for each action and speakers for each statement, adding pronouns, names, stage directions, and quotation marks. Such specificity is un-noh-like and unnecessary in Japanese. Nogami claimed that “if Noh song translation is to feel like a Japanese thing, then, for example, thought should be given to contriving the effect of the elliptical subject.” The noh chorus sings lines that might belong to the characters, voices feelings or thoughts, or describes actions onstage, shifting registers quickly and without explanation. In response to a perceived ambiguity of noh dialogue, the PFHYI translation of Kumasaka added the stage direction “(thinking)” to the first sentence and then “(aloud)” to indicate lines that might be realistically addressed to another character. Neither stage directions nor realistic speech are features of noh, as feelings and thoughts are voiced by characters and choruses without the individual ownership over language typical on western stages. The PFHYI Kumasaka explains, “This chorus sometimes speaks what the chief characters are thinking, sometimes it describes or interprets the meaning of their movements” (39). The explanation misrepresents a characteristic of all noh choral songs, which are not differentiated into speech, thought, and description. Fig. 4. 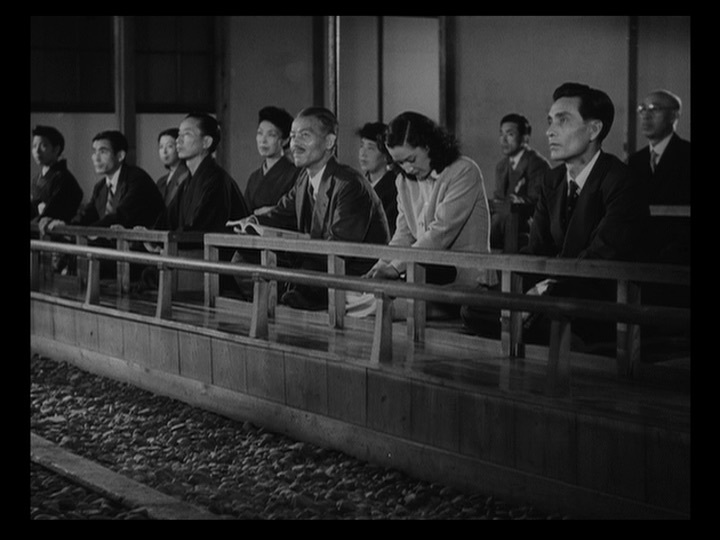 Noriko and Somiya with the noh text (utaibon) on his lap in Ozu’s Late Spring (1949). Audience members, often composed of amateur students, often diligently follow libretto or utaibon as a practice of self-improvement, while foreigners who cannot read the text “never attempt to follow uselessly the meaning of every word and phrase in the utai, but merely watch the movements of the actors and listen with a very incomplete understanding to the chorus and musicians” (9). For Nogami, this “wise” method of reception helps audiences grasp what he considers the “essence” of noh: “the perfection of absolute beauty” through a “unique stage construction” (9, 12). Nogami’s presentation of the “essence” of noh as an “absolute beauty” best received in a state of wonder, resembles the orientalist stereotypes promoted by Pound and others. But it is also rooted in noh performance features and techniques that impede the audience’s word-by-word reception. Actors chant in a heavy, almost-swallowed style, which is further muffled by full facial masks with narrow mouth holes. Archaic pronunciations of the noh text that are never updated to modern Japanese make it difficult for even fluent speakers to understand the words. In his 1938 book Translation Theory and Practice (Honyakuron: Honyaku no riron to jissai), Nogami urged the Japanese to produce and study noh translations and proposed a translation theory that emphasized capturing the “emotional structure” of noh rather than accuracy of language. Nogami believed that English translators would always fail to accomodate the affective power of noh chant’s conventional lines of 5-7-5-7-7 syllables or sound particles—and should not try to do so. He recommended that translators adopt foreignizing approaches, but not because they constitute an ethical engagement with cultural difference (as Venuti suggests) or modernist innovation (as Pound hoped). Rather, the misunderstanding and disconnection of translation would clarify for both western and Japanese modernism the flexible subjectivity constructed in noh. This subjectivity is decidedly not the strong personality of modernist genius, the rational individual of modernity, or the fragmented self of modernist experiment. Nor is this subjectivity well accommodated by Japanese audiences’ goals of self-improvement, as they read their utaibon throughout the performance. Nogami believed that twentieth-century Japanese audiences, as well as English-speaking ones, would learn about noh—and their own time—from the inadequacies of English translation. In the elliptical, ghostly nature of noh temporality, the present does not march evenly toward the future but remains haunted by the past in ways that are difficult to represent with the tenses of English grammar. Noh temporality does not follow Japan’s larger cultural embrace of rampant modernization and western-style imperialism/militarization throughout the first half of the twentieth century, although new noh plays were written and some classical noh plays were altered to support the Japanese empire during the modernist period. Modernist noh serves as an example of how the wonder and confusion of foreign audiences and translators (dis)connects with the creativity and mysticism of ancient playwright-performers. Wonder and mysticism are crucial terms in the contemporary critical rubric of orientalism, and orientalism is certainly operating in the PFHYI noh translations. But Nogami’s perspective on these and other “bad” English translations reveals that orientalism does not own and perhaps need not critique all the more mystical spheres of human experience; they have been crucial to the dramaturgy of noh for more than six centuries. The value-laden, even finger-wagging tendencies in the critical approach often called global or world modernism can encourage us to disparage certain translations and, in the process, obscure some features of world art, including the elliptical, non-unified nature of noh time. Directed by the novelist Morita Sōhei, a group of Hōsei University graduates published volumes of their translation from 1932–1936. Another team produced installments in a magazine between 1930 and 1931, then collected them for a two-volume edition by the avant-garde publisher Dai’ichi-shobō (1931, 1934). See William J. Tyler, Modanizumu: Modernist Fiction From Japan, 1913-1938 (Honolulu: University of Hawaii Press, 2008), 174–75. Pound claimed, “Literature belongs to no one man, and translations of great works ought perhaps to be made by a committee” (Ezra Pound, “Hell,” The Criterion [April 1934], reprinted in Literary Essays of Ezra Pound, ed. T. S. Eliot [New York: New Directions, 1954], 201–213, 207). Ernest Fenollosa and Ezra Pound, The Classic Noh Theatre of Japan (New York: New Directions, 1959), 3. Whereas nineteenth-century Japanisme was particularly inspired by the visual arts, modernist versions were more focused on texts and translations, primarily of classical Japanese works. Susan Stanford Friedman argues for temporal extension (as far back as the Chinese Tang Dynasty) in Planetary Modernisms: Provocations on Modernity Across Time (New York: Columbia University Press, 2015). Ezra Pound, “How I Began,” in T. P.’s Weekly, June 6, 1913, 707. Mary Fenollosa’s comment about Hirata is collected in Ezra Pound and Japan: Letters and Essays, ed. by Sanehide Kodama (Reading Ridge, CT: Black Swan, 1987), 7. 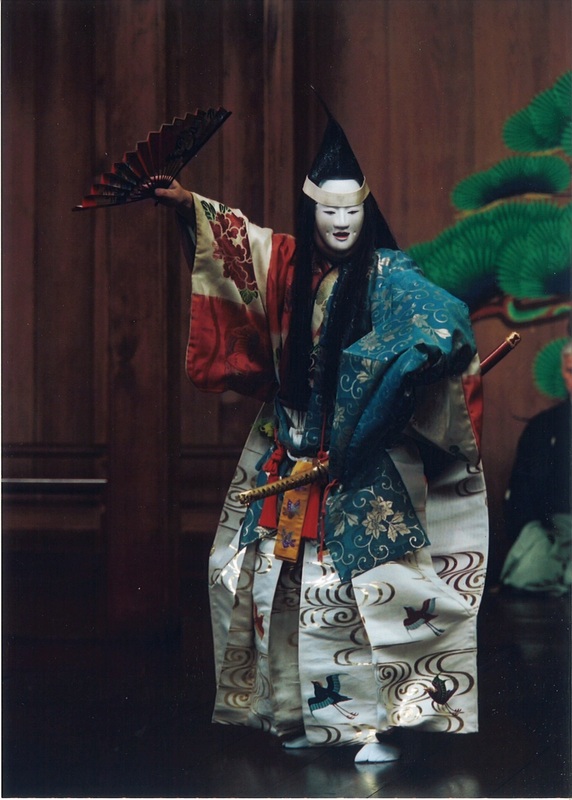 See Akiko Miyake, Sanehide Kodama, and Nicholas Teele, A Guide to Ezra Pound and Ernest Fenollosa’s Classic Noh Theatre of Japan (Orono, Maine: National Poetry Foundation and Ezra Pound Society of Japan, 1994), xviii, 171. See Ezra Pound and Ernest Fenollosa, Certain Noble Plays of Japan From the Manuscripts of Ernest Fenollosa, Chosen and Finished by Ezra Pound, With an Introduction by William Butler Yeats (Churchtown, UK: Cuala, 1916). I tell the story of Ito’s performance in Yeats’s At the Hawk’s Well (1916) and his rise as a modern dance artist as well as the translations and world tours of At the Hawk’s Well in the twentieth century in Learning to Kneel: Noh, Modernism, and Journeys in Teaching (New York: Columbia University Press, 2016). Sanehide Kodama claims that “Pound’s” noh plays have had more readers than any other European-language translation in American Poetry and Japanese Culture (Hamden, CT: Archon-Shoestring, 1984), xi. For a list of errors, see Roy E. Teele, “A Balance Sheet on Pound’s Translations of Noh Plays,” in Books Abroad 39, no. 2 (1965): 168–70. Christine Froula considers Pound’s translations to be innovative English poetry in “The Beauties of Mistranslation: On Pound’s English after Cathay” in Ezra Pound and China, ed. Zhaoming Qian (Ann Arbor: University of Michigan Press, 2003), 49–71. Steven J. Willet claims, “A poetic translation based on a serious misunderstanding of the original language is still a failure no matter how effective the English may be” (“Wrong Meaning, Right Feeling: Ezra Pound as Translator,” Arion 12, no. 3 : 149–189, 151). Lawrence Venuti, The Translator's Invisibility: A History of Translation (London: Routledge, 1995), 17. Venuti certainly recognized the fraught nature of the terms he was proposing for translation studies, but his definitions cited above tend to be applied to translations without full consideration of the complexity of translation practices, cultural values, and linguistic diversity. Willet cites this passage after claiming, “I can’t reverse nearly nine decades of negative opinion [on the noh translations], but would like to quote a sustained passage from ‘Nishikigi,’ the finest and most thoroughly realized of his versions, to counter the trend” (“Wrong Meaning,” 172). See Raymond Hickey, “Models for Describing Aspect in Irish English,” in The Celtic Englishes II, ed. Hildegard Tristram (Heidelberg: Carl Winter, 2000), 97–116. T. S. Eliot, “The Noh and the Image,” in The Egoist 4, no. 7 (1917), 102–03, 103. Eliot called for an “extinction of personality” in “Tradition and the Individual Talent” (1919) in The Sacred Wood: Essays on Poetry and Criticism (New York: Knopf, 1921), 42–53, 47. Quoted in Beverley Curran, “Nogami Toyoichirō’s Noh Translation Theories and the Primacy of Performance,” in Translation in Theatre and Performance, ed. Silvia Bigliazzi, Paola Ambrosi, and Peter Kofler (Florence, KY: Taylor and Francis, 2013), 211–22, 220. “Noh in English Translation” (Eiyakusaretayōkyoku) was expanded as the last chapter of his book The Rebirth of Noh (Nōnosaisei) in 1935. Nogami Toyoichirō, Japanese Noh Plays: How to See Them (Tokyo: Board of Tourist Industry, Japanese Government Railways, 1935), 8. See Kagaya Shinko, “Dancing on a Moving Train: Nō Between Two Wars,” in Nō Theatre Transversal, ed. Stanca Scholz-Cionca and Christopher Balme (Munich: Ludicium, 2008), 19–30.